This past year, it was all about bright pastels in secret undercuts, and unicorn-themed everything. This season, it’s a whole new ballpark! Here are the food, beauty, and lifestyle trends that will be blowing up all over your IG feeds for the next couple of months. Remember when the hair trend was all unicorn and rainbows? 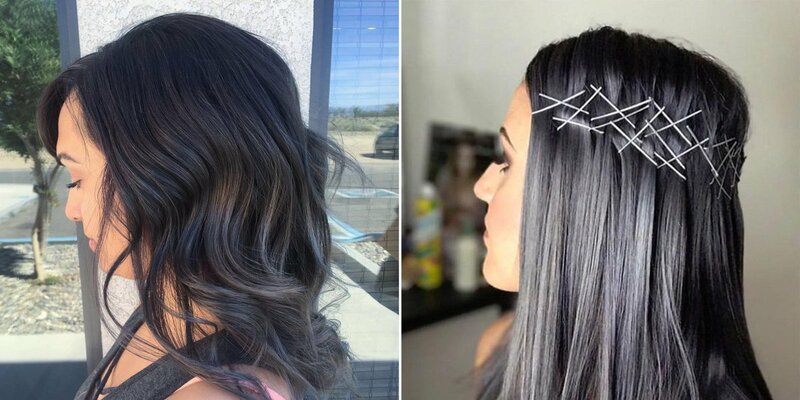 Weirdly enough, this summer we’re going a little darker with hair trends. It’s a smoky, deep grey that they’re calling “charcoal”, which is somewhere between a smoky blue and silver. We’re into it! Do you think it would age you too much? When you can’t be at the beach, why not bring the ocean to you? People are doing just that with ocean manicures, getting the waves and water texture just right. 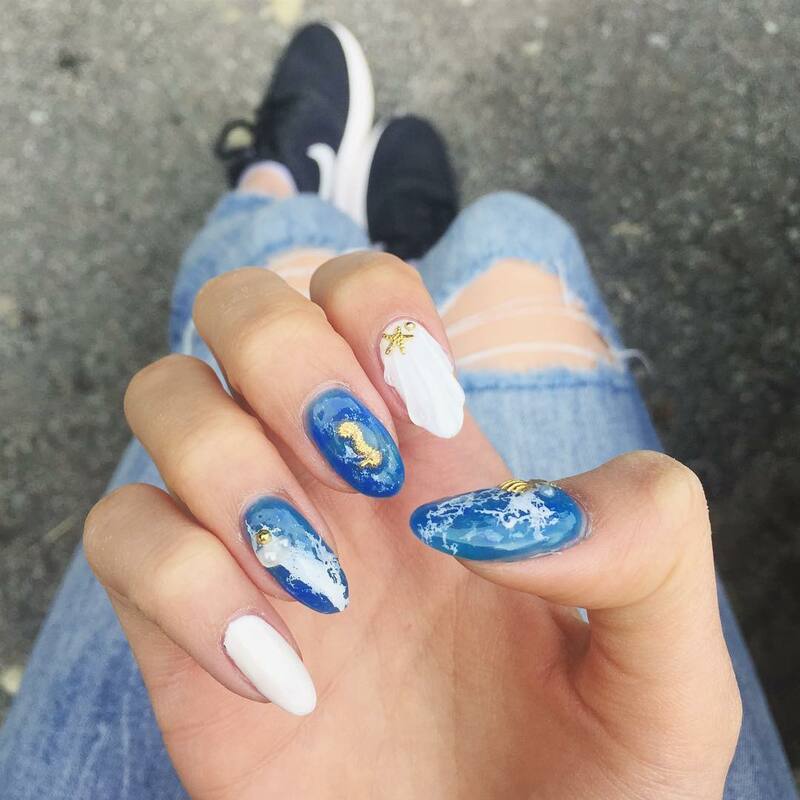 Get wavy with a cool blue manicures to match your exotic destination of choice. Sort of bubble tea tapioca for caviar. Chefs are adding it to dessert as well as savory entrees and it’s blowing up on social media. 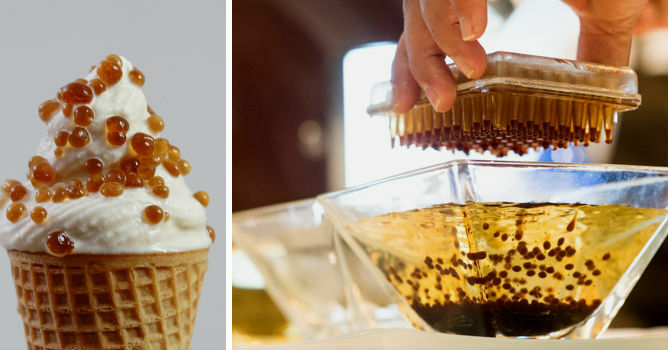 Lavetta makes their signature caviar by “using a syringe and small drops of the coffee. Alginate mixture is added to the diluted calcium chloride.” Fancy. 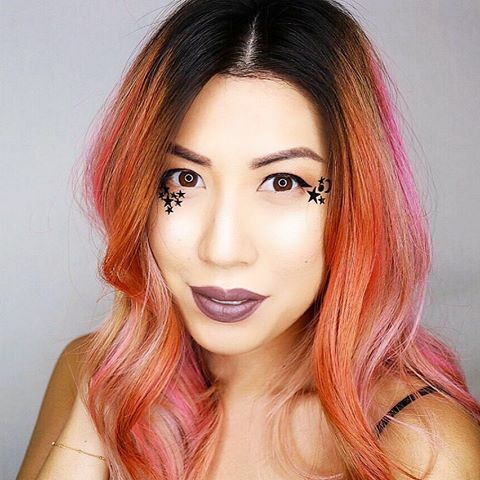 While this might seem like more of a kid’s party activity, IG has brought it back as something serious incorporated in makeup lucks, and topped with high-shine gloss to heighten the severity. People are calling it a makeup hack, but you have to really have an eye for beauty to make this work. 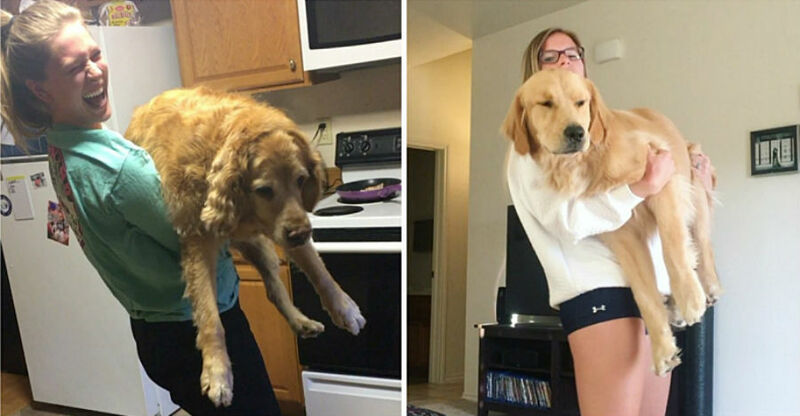 We’re used to the social media trend of people cradling their ridiculously large labradors and retrievers like they’re small babies, but now, people are taking it to a fitness level. Yup, they’re benching their dogs to combine playtime with pup and exercise time. Like we said, the age of all things unicorn is experiencing a charcoal revolution. Black ice cream is part of this revolution. 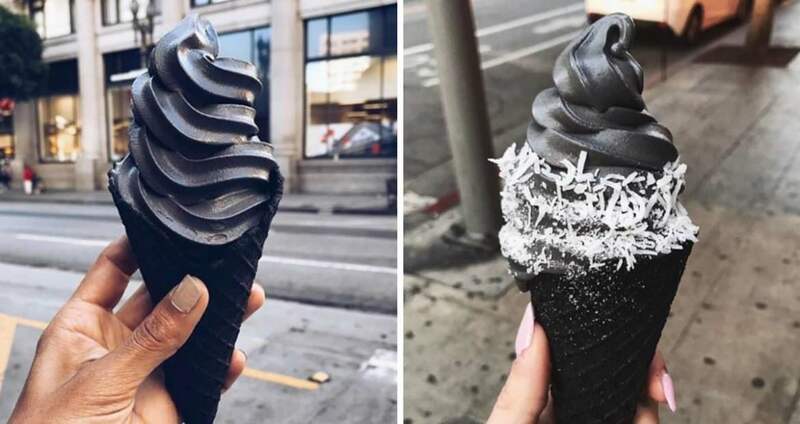 LA ice cream store Little Damage serves almond flavored black soft serve in an activated charcoal cone. Or you could pick up some black sesame ice cream which has the same look. Body positivity has been experiencing its golden age, and thank goodness for that! Ad campaigns around the world are integrating real, plus size ladies into their stuff. Women’s IG accounts are going viral for embracing their stretch marks and extra meat. Skinny pressure will be a thing of the past! It’s no surprise – this trend surges in popularity every summer. And why not? Summer weddings are so picturesque, and designers’ summer collections are just as ethereal as the season.